​When it comes to sanding off rough edges the benchtop belt sander stands out. The tool gives you the most control when sanding around a corner or edge. There is a variety of benchtop belt models on the market, which is why we’re going to walk you through our top choices. Additionally, we’ll take a deep dive into their features and benefits and how they relate to different project types. 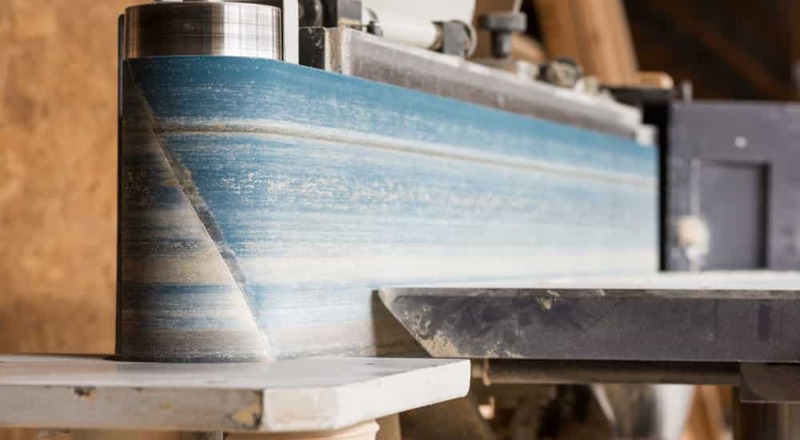 When to use a benchtop belt sander? What parts make up a benchtop sander? Our pick for the best benchtop belt sander is the WEN 6523 Oscillating Belt & Spindle Sander. With the 3.5 amp motor the WEN gives you the best power and control for your investment. With five throat plates and beveling table options you have incredible variety. These key features make it our top pick for the consumer. The Wen comes with multiple drum sizing options; ¼”, ½”, 1”, 1 ½” and 2”, which provides the luxury of choice. This model comes equipped with onboard storage, so you don’t have to hunt down various accessories during your project. The Wen comes with a 3.5-amp motor that oscillates up to 58x per minute with a 5/8” stroke. With a beveling worktable on board and five throat plates, you’ll find that you’re well equipped for a multitude of sanding options. With rubber sanding drums included and one sanding belt attachment (with 6 pieces of sandpaper), you’re able to get a jump on your first project right out of the box. The table comes adjustable up to 45-degrees to give you the perfect sanding angle for various objects. All Wen products come with nationwide technical assistance incase any complications arise with your machine. Along with an outstanding customer support-line, Wen provides a strong 2-year warranty with their tools. The POWERTEC comes with a stock cast iron base for a durable machine. This also gives the customer peace of mind ensuring a quality machine. This model comes with a quick release button for the convenience of an easy belt change. Having this feature allows you to have a stress-free changing method and is a huge time-saver. For multiple sanding angles the POWERTEC comes with an adjustable table, up to a 45 degrees. Along with the adjustable table, the belt platform adjusts up to 90 degrees. This gives you the option to have a vertical sanding angle or a horizontal one. The POWERTEC comes with a strong amount of power at 4.3 amps. It has amp induction for reliable performance. This benchtop model provides you with dual sanding methods. You can choose between a disc and or a belt sand. Comes in handy if one of the sanders begins to dull, you can switch as needed. The belt speed maxes out at 1900 RPM and the disc speed at 3000 RPMs. This sander is one of the most powerful on our list. POWERTECH comes with a one-year limited warranty and a customer support line. It also comes with a 30-day satisfaction guarantee. Comes with a dust shoot to minimize saw dust shavings in the workshop. The JET comes with stock cast iron tilting tables along with a steel base with rubber feet to provide top-notch durability. This model is equipped with a miter gauge and lock system. The table can rotate up to 45-degree angles. The adjustable dust reflector and shut allow you to direct the outflow of sawdust away from you. It also makes an easy clean-up after every use. The removable platen gives you the freedom to sand outside bell curves or other odd shaped objects. The JET operates with versatility and can perform the work of a coping saw, jig saw or a hand file. This model comes with an incredibly powerful 3500 RPM disc speed as well as 3100 RPM belt speed. For added safety measures this model comes with an idler wheel cover to prevent accidents. This benchtop model can accommodate for not only sanding but grinding and finishing as well. JET provides industry leading warranties with the 2-year Red Assurance Warranty. JET tools come with two support lines; one is the customer relations team, who help with transactional items. The other is the technical team, who can assist you with trouble shooting your machine. The Central Machinery benchtop model comes with dual sanding options, belt and disc. Perfect for various sanding or grinding projects. It’s one of the most affordable benchtop belt sanders on the market and perfect for any DIY’r with various projects. This model has a table adjustable up to 45-degrees and is perfect for finishing off ragged edges at any angle. Additionally, the motor runs smoothly and keeps quite to reduce workshop noise. With a steel motor housing, you can be sure you’re getting quality for an affordable price. The Central Machinery belt sander performs with adequate power; the belt runs at 1150 RPMs, and the disc at 1780. The motor output runs at 1.9 amps and is powerful enough to tackle any smaller carpentry project you throw at it. Central Machinery is an established name and is established in the marketplace. This RIKON belt sander is great for tedious objects that need to be worked on at different angles. With the open plate vertical belt sanding method, you’re able to do just that. Also, if you’re looking to have a machine with disc and belt sanding methods the RIKON is perfect for just that. With a belt tracking knob, you can be assured for a safe and quality project every time you put the material to the belt. RIKON provides a safety ON/OFF switch which prevents any false starts and keeps your workplace safe. The belt table tilts up to 45-degrees, which helps with any material that needs to be grinded at an angle. The machine can be used for a degree of projects and perfect for small household projects, due to its lighter motor power. The RIKON belt/disc sander comes with a dust chute help catch excess sawdust, which helps with workshop cleanliness. With cast iron metal construction, the RIKON sander is durable and built to last. Along with the metal cast, it comes with dual cast aluminum tables. The disc runs up to 80 grit, and the belt runs up to 100 grit. The 2.3-amp motor lands this model in the middle of the road for power. When it comes to power tools the benchtop belt sander is a tool that will not only save you time, but your hands as well. It only takes a few projects sanding by hand to show you that your hands fatigue quickly. Once you start to look for a suitable benchtop belt sander, you might have a few questions on how to pick the right one. Here are some things to consider when deciding which one to mount to your worktable. There is a handful of ways to approach sanding an item. The first is the traditional method of using your hands. This might be a viable option when you’re sanding a side table or a chair or flat surfaces. The other method is a handheld sander. The handheld method can be an easier way to tackle a project, but like traditional methods, it still fatigues your hands. Lastly, is the benchtop belt sander. The benchtop models were made to give you optimal control. Instead of brining the sander to the wood, pipe, or other material, it’s the opposite. When using a benchtop model, you have the luxury of rotating the material at all angles in your hands. This aids with angle sanding and helps control the depth. Either it be a sharp pipe end you’d like to round off or a 2x2 that needs the edges rounded, the benchtop sander can handle it. This is primarily what the benchtop belt sander is utilized for. The benchtop belt sander is made up a few key parts, (depending on the model, belt, disc, spindle), motor, and roller. With each one in unison the machine spins the sand paper at high RPMs. Belt – The sand belt wraps itself around the rollers. When the machine is powered on it revolves around the rollers. Disc – Similar to the belt the disc rotates at high speeds, usually comes along with the belt, but can work independently. Spindle – A small cylinder which rotates at high speeds. Like the disc and belt, it can provide different sanding angles. Motor – The heart of the machine, which creates the power. Roller – The roller sits on one of the machines and is powered by the motor. As it rotates it applies pressure to the sandpaper and propels it into motion. When it comes to benchtop grinders, there is an assortment of options. We will cover three of the most common benchtop sanders. Belt Sanders – The belt sander, as mentioned above, is operated by a belt system. Disc Sanders – The disc sander operates with a rotating disc, something similar to battery powered cordless random orbital sanders. No rollers are needed with this machine because the motor connects directly to the disc. Oscillating Spindle Sander – The oscillating spindle sander is one of the most unique of the benchtop models. With a spindle in the middle of the table which oscillates up and down, it works well for concave structures. Each one of these sanders comes with its own set unique features and strengths. One thing to consider is what type of project you’re working to judge which is model will be most effective. It’s also common for manufacturers to combine these different grinders into one machine. When considering a benchtop model, it’s wise to evaluate your main project needs. Each model comes equipped with various motor sizes, accessories, and sanding methods. Here are some things to consider before you buy. If you’ve noticed each model will specify the RPM the model can output. It's Important to consider the RPMs because this can indicate what type of job it can handle. Machines that run at lower RPMs will have a tougher time with working on larger objects. However, if you wish to use the sander for small objects a lower RPM is okay. Anything below 1500 RPMs will work best on smaller projects. The oscillating spindle sander will come in use more for sanding around curves, think furniture or skill cuts. Because this sander is a drum it has the ability to make its way around the curves an object rather easily. Benchtop belt sanders are used for sanding flat surfaces and rounding off pipe endings. Some models like our top choice include both options. The paper used during operation is a crucial part of the process. Sandpaper has a grit rating which indicate what material it can sand effectively. A few benchtop models provide a prefered grit rating for the machine, this can also give you an idea of what type of jobs it can handle. If you work with tedious projects that might entail you grinding or sanding at various angles, look at a an oscillating sander. This model is great for sanding around concave objects or getting into narrow spaces. The standard belt model is great for larger pieces of lumber or other objects. It’s typically the sturdiest way to sand down an object. Some models provide vertical open belt sand, which allows you to work from both sides of the belt. A disc method is like the belt method but with a broader sanding face. Most of the time manufactures pair this method with the belt sander. The amount of power you need might vary from project to project. If you find yourself buffing up jewelry or sanding rough edges from a stool, you don’t need that much power. If this is the case any motor under 2.5 amps should work fine for what you’re needing. 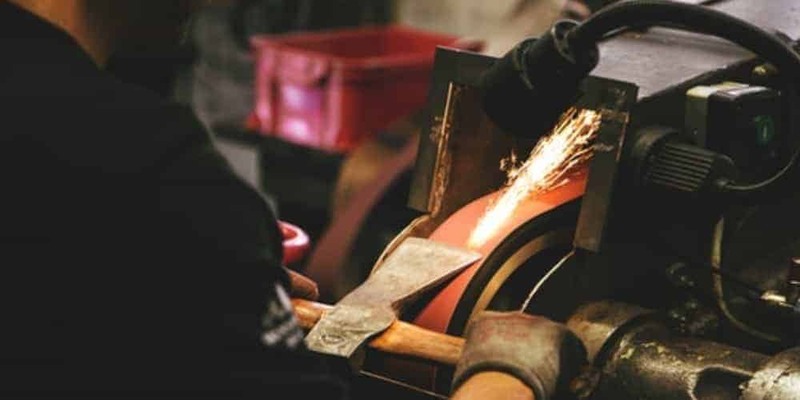 However, if you’ll be grinding down pipe edges or running up pieces of lumber to it, you’ll need a machine that operates with a little more power. You’ll want to have a motor that pushes out at least 3 amps to handle the heavier workload. Like any product you can get an indication of the quality by what material makes up the tool. If you find parts made of steel or cast iron you’ve found a good product. Parts you want to be made of metal are the table and base. A tool is only as good as the one who made it, this is why the manufacturer is important. It might be worth the extra time to read through the manufacturer's website. You can find information on where they excel; maybe they make great commercial equipment, but their other tool lines might not be up to snuff. Additionally, in general, larger manufacturers will have a larger customer service staff. This comes in handy if you experience any malfunctions. Larger companies might be more willing to give you more wiggle room on returns as well. If you’re accident prone or not, it’s always an added measure you need to take. With safety in mind, some models come with added safety features. Rather it is a switch lock, disc guard, or knob lock, it’s something to look for. Not every model adds these little features, but you never know when they’re going to save you a trip to the emergency room. When working with any machine that oscillates be sure not to wear loose clothing. If you have sleeves roll them up or a baggy shirt tuck it in. This will prevent any clothing from getting caught in the machine. Make sure to keep a clean workspace. When using a grinder or sander the excess material will fall to the ground beneath you. If not cleaned it can be a fall hazard and or fire hazard. Keep benchtop model unplugged unless you’re about to start a project. This will help prevent false starts either by yourself or a child. Wear safety glasses when operating. You never know when a wayward projectile might fling back and strike your face. Read the owner manual. The owner’s manual is able to guide you in safe operation procedures. It also comes with its own safety rules from the manufacturer. Make sure to purchase correct belt fittings and never try to force any size other than what’s recommend into your machine. Some machines provide extra safety features, like lock-switches or wheel guards. Be sure to always use them. If the machine comes with assembly instructions follow them closely. 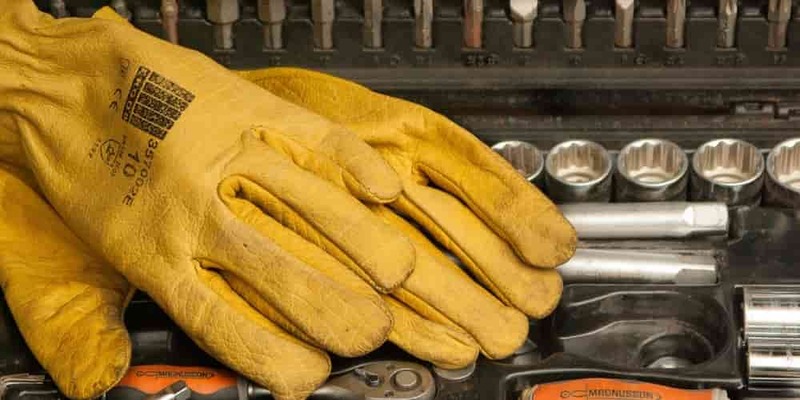 Anyone who works with power tools knows the importance of keeping up with the well-being of your tool. To have a fully operational tool you need to keep up with proper maintenance it requires. Not only will this extend the tools life, but it’s an added safety measure for the operator. Below we’ve listed some key points you want to cover for keeping your benchtop belt sander in pristine condition. Clean Regularly – When working with any tool that cuts like electric saws, grinds, polishes material or carves wood it’s important to clean after every use. Saw dust has the ability to make its way into the vents of your sander. A good way to clean dust from the inside of the machine is to remove the panels and blow it out with compressed air. Additionally, take a cloth and wipe off any shavings from the table and base of the sander. Change Belts/Disc – A good way to put unnecessary stress on your sander’s motor is to use a dull belt or grinder. When the belt begins to dull more pressure is needed to sand down the desired object. The more you press into your machine the more stress it puts on the motor. A good way to avoid putting stress on your motor is to keep a fresh belt and or disc on the machine. ​Q: Can I use a benchtop belt sander to sharpen mower blades? A: Yes, you can sharpen your mower blades on a benchtop belt sander. It’s important to keep the correct angle when sharpening the blade. There are other tools on the market which would fit this need better, but a benchtop belt sander will do the trick. Please use caution and beware of kickback. Q: What is a benchtop belt sander good for? A: A benchtop sander can be utilized in a handful of ways. Its primary use is for sanding, polishing, or grinding down rough edges. However, some models provide accessories which can increase the functionality of the tool. Q: What’s the best speed for a benchtop belt sander? A: The best speed is subjective to the operator’s intentions. If you’re seeking a powerful benchtop belt sander you want to use a motor with at least 3 amps. If you’re seeking slower RPMs for sanding smaller objects it’s okay to fall below 3 amps. Q: How to clean a benchtop belt sander? A: With any tool in which you will be grinding, polishing, or sanding excess material will fall onto or into your machine. One of the best ways to clean off sawdust or metal shavings is to blow it off with an air compressor. Then come back over it with a dry cloth to wipe any left-over shavings. A good trick to clean the belt is to take the sole of an old shoe and run it over the top of the belt. This will grab the grime from the surface of the belt. Q: Can I use a benchtop belt sander to sharpen knives? A: Yes, you can. Similar to the mower blade it’s not the best method to sharpen. You want to be careful about kickback and hold the correct angle. The WEN 6523 Oscillating Belt & Spindle Sander stands out when it comes to quality and price. We feel the WEN is the ideal pick because of its array of benefits and features. This benchtop model has a beveling worktable on board and five throat plates, which gives the consumer variety. In addition, it also has a built-in spindle to sand hard to reach concave surfaces. In conclusion, the WEN has the most power and benefits for its price. If you’re seeking a benchtop belt sander of quality, but don’t want to break the bank the POWERTEC BD4600 Woodworking Belt Disc Sander is a good choice. With a 4.3 amp motor, you’ll be able to sand larger material. POWETECH also comes with a great warranty if you’re concerned about the machine malfunctioning. For those who want to nestle themselves in the middle the JET J-41002 2-Inch by 42-Inch 3/4-Horsepower Bench Belt and 8-Inch Disc Sander is for you. The JET has a strong manufacturer backing its quality and has a 2-year Red Assurance Warranty. It’s also one of the only models mentioned that uses cast iron. You can be assured you’re getting a quality machine with JET.